Best set up indoor or in a location shielded from any wind or direct sunlight. This unit cannot operate inclement weather. 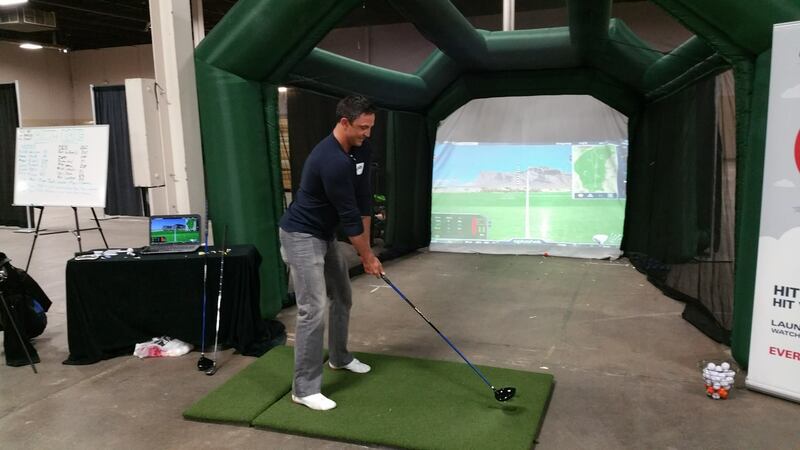 Our Golf Simulator uses actual clubs and an Infrared Ball Tracking System. It has sixteen precisely-tuned, high-speed 48MHz infrared sensors that track the speed and club face as it comes across the base. 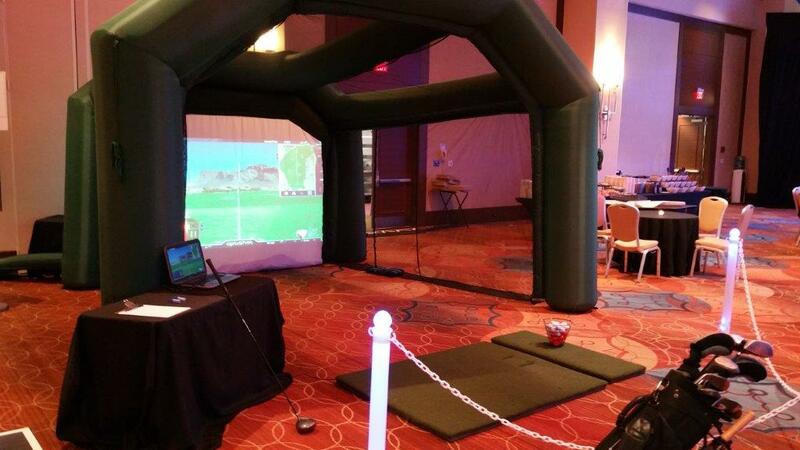 Play all the top courses with our Golf Simulators. No need to pay for airline tickets and greens fees. Let us bring the courses to you. If you have a serious hook or slice, it will pick these up (sorry to say). It is the most accurate simulator on the market today. You and your coworkers or friends will have a blast competing on all the Great Courses. Several different versions are available to accommodate most Room sizes.